ANN ARBOR, MI – The Thomas More Law Center (“TMLC”), a national public interest law firm based in Ann Arbor, Michigan, announced today that it has agreed to represent Richard Penkoski in his fight with the Mountain Ridge Middle School, located in West Virginia, over the Islamic indoctrination of his 13-year old daughter. 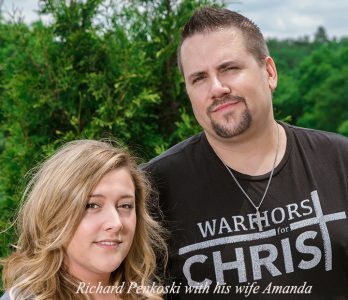 Mr. Penkoski, an evangelist who hosts an online Christian ministry, “Warriors for Christ,” with an estimated 200K-300K followers, discovered the astonishing extent to which his daughter and her fellow classmates were being subjected to Islamic indoctrination under the guise of teaching about world religions. Write the Shahada, the Islamic conversion creed, “There is no God but Allah, and Muhammad is the messenger of Allah” in Arabic as part of “calligraphy” practice. The case involving Mr. Penkoski’s daughter is one of several cases that the Thomas More Law Center has agreed to take on concerning Islamic indoctrination in American public schools.